Another day, another panto. Good job we love them! Every single panto we watch over the festive season has something different to offer and we always look forward to the Newcastle Panto Company's offering at Tyne Theatre and Opera House for some traditional family fun. This year's production is Beauty and the Beast. I have been watching this panto company for a loooooooong time and remember visiting with my mum's foster child before I even took my own children. 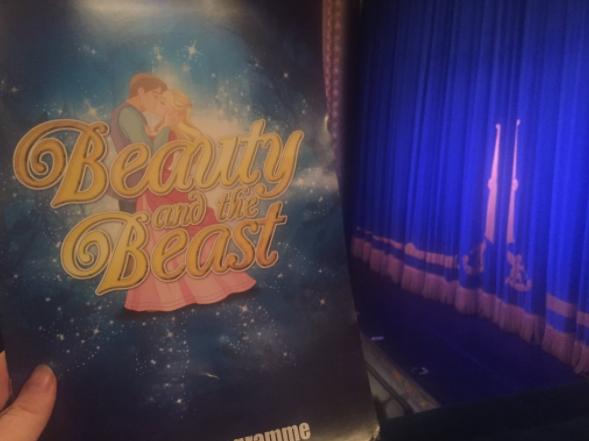 Like many locals, watching the Newcastle Panto Company on stage is an annual tradition - they have been bringing Christmas cheer to audiences here since 1995 and really have such a good relationship with the crowd. Watching Maxie Peters, Emily Swan and Charlie Richmond on stage is like slipping into your favourite pair of Christmas slippers and being reunited with old friends. 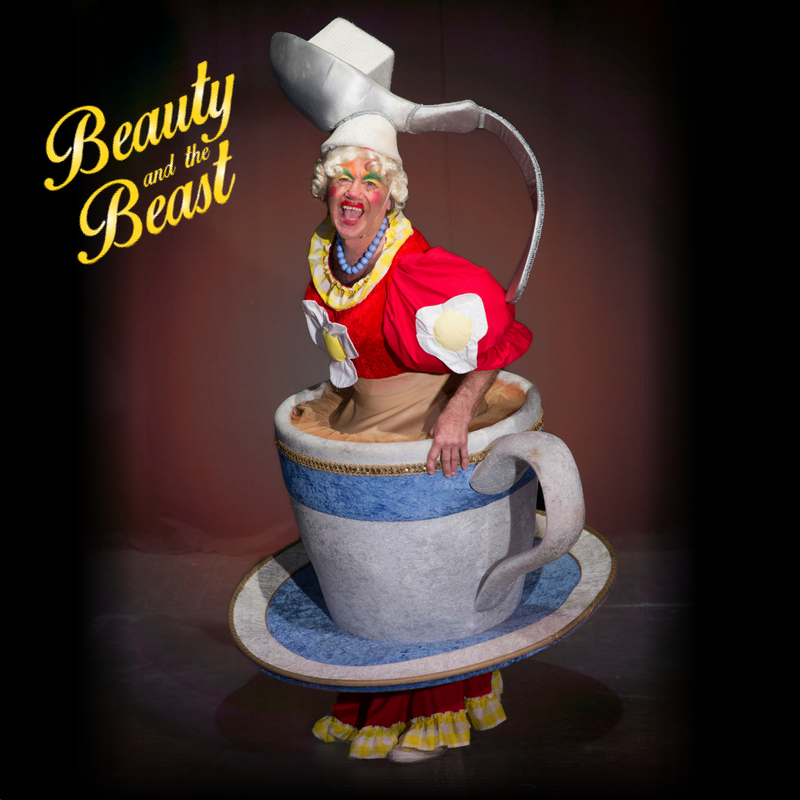 Maxie Peters makes a fantastic Panto dame and has excellent chemistry with Bob Stott who plays his (or her???) on stage sister. The pair light up the stage and bring lots of laughs to both kids and grown ups. Their love of the theatre is very apparent and Maxie as 'Lottie Stottie' just has this natural ability to ad lib and chat with the crowd in a naturally funny way. There's lots of banter with the crowd but it's never forced and always with impeccable timing. Some of the Dame's costumes this year are hilarious - watch out for the Christmas tree! Charlie Richmond as Norman Stottie is always a real crowd pleaser. You can't help but instantly warm to him. His cheeky sense of humour and charm is always fantastic and he plays the part of the Jester this year very well. He's always the one who gets the kids really excited (even if this involves throwing 'maggots' out into the crowd) and you can't help but be his friend. One of the big highlights for me this year was the dancers in the performance - they were fabulous! There is a woodland scene which has been perfectly choreographed and I absolutely loved it. It was captivating and special kudos to the young ones, they did a sterling job. 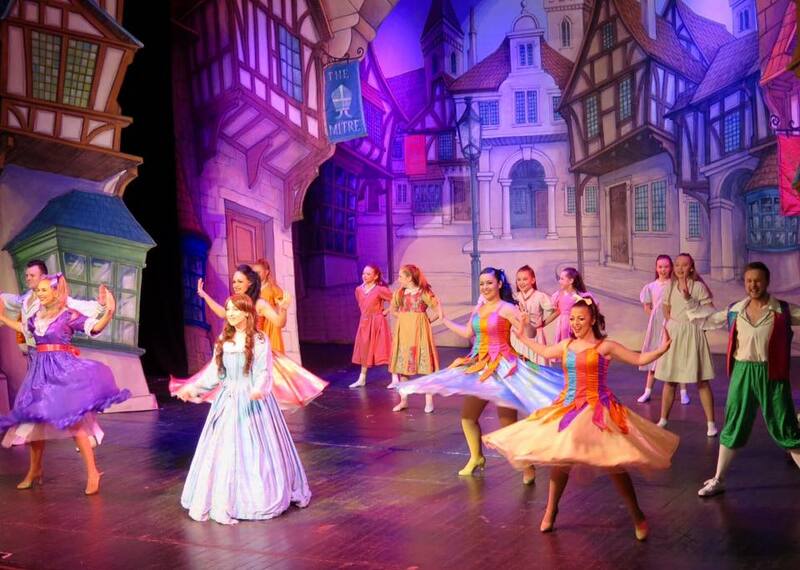 The dancers are overseen by Emily Swan who plays Belle and I would say they are the best I've seen in any panto to date. No panto is ever perfect (so far anyway) and for me, this year's villain just wasn't up my street. There were one too many 'oh no you didn'ts....' and I feel that 'Cruella la poo poo' relied on these too much rather than developing her character - it was literally every scene. 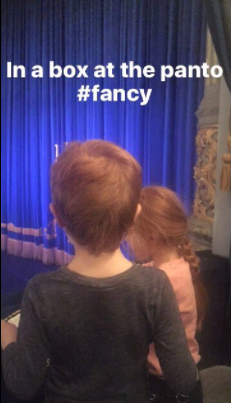 I know it's all part of the panto fun but for me, it was too much. 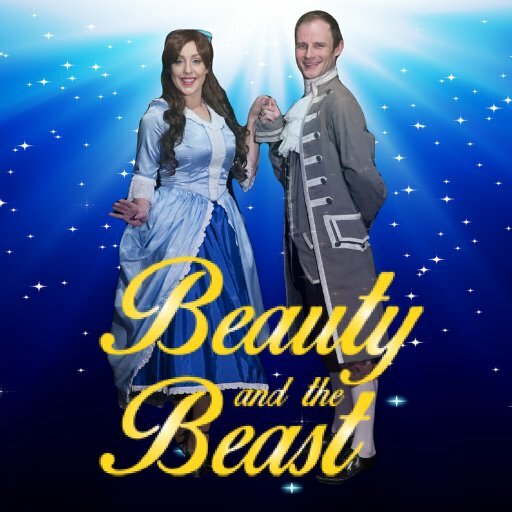 However what I will say is that Beauty and the Beast at the Tyne Theatre and Opera House doesn't need any Honey G gimmicks or dabbing - it's just all fantastic, wholesome family fun and it won't fail to make you smile from the heart. As stated at the beginning of this review, what you do get with this panto is lots of traditional fun. Sweets will be thrown into the audience, there will be jokes galore, lots of audience participation, singing, dancing and lots of 'he's behind yous'. A real highlight is when a few kids get up on stage to have a little chat with Norman Stottie - always comedy gold. This part is never scripted but always has us crying with laughter. Harry nearly couldn't catch his breath at one point! Now for the sad part - Tyne Theatre and Opera House have decided to bring in a London theatre company for next year's panto and Newcastle Panto Company will be ending their regular stint of over a decade here. I'm not going to lie but Maxie's speech at the end of the production filled my heart with sadness. Now I know Tyne Theatre and Opera House need to make money and outsourcing their panto to someone else might make business sense and I don't blame them for doing this at all. Lots of tough decisions need to be made in the world of business and I'm sure this wasn't an easy decision for them. I can't help but feel it's the wrong one though. Us Geordies are proud of our heritage and for me, if I wanted to see a non-local panto I would go to Sunderland Empire or the Theatre Royal. Newcastle Panto Company are the USP of Tyne Theatre and Opera House's panto and how I think, they differ from their competitors. It seems I'm not alone in this school of thought as there were lots of mumblings as we left the theatre from the crowd saying how things will never be the same again and I agree. Christmas without the unique version of '12 days of Christmas' you only get at the Tyne Theatre really won't be the same. It has always been an annual Christmas highlight for us and we'll miss it. So.......on that note. If you're going to see any panto this year and haven't made up your mind yet, it has to be this one. Go and show your support for the local lads and lasses while you still can and give them the send off they deserve. 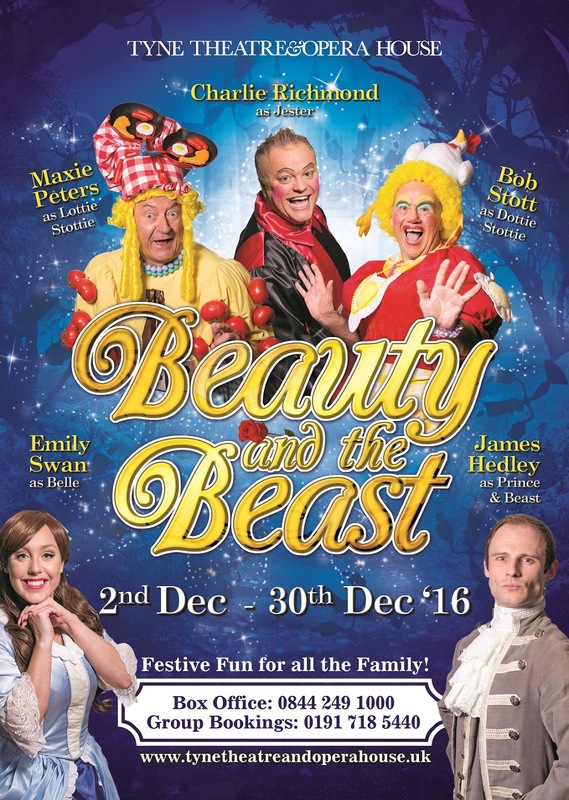 Beauty and the Beast continues at Tyne Theatre and Opera House until 30th December. Tickets are available from £14. Disclosure | We provided with press tickets in return for an honest review. I have not seen a pantomime for almost 40 year and I thought this show was brilliant. I absolutely loved it. I was hoping to bring my grandson next year but sadly will not see the local cast. Very sad to hear this news.